Digital wallet Paytm’s parent One97 Communications Ltd is looking to acquire investee firm Little Internet Pvt. Ltd, which runs deal discovery app Little, two persons familiar with the conversations told VCCircle. Paytm has already had early-stage talks with the founders, the persons said. Paytm and its early backer venture capital firm SAIF Partners became major investors in Little when they put $50 million in the firm, along with others, two years ago. Paytm founder Vijay Shekhar Sharma and SAIF Partners managing director Alok Goel got board seats at Little. Venture capital firm Tiger Global and Singapore’s GIC are the other investors. It was not immediately clear if Little’s founders, Manish Chopra and Satish Mani, would agree to Paytm’s buyout offer. One of the persons cited above said they did not agree to Paytm’s initial offer. Both the persons, however, indicated that SAIF Partners was playing a key role in the negotiations. Emails sent to Paytm, SAIF Partners and Little Internet Pvt. Ltd did not elicit a response till the time of publishing this story. Following a $1.4-billion infusion by Japan’s SoftBank, Paytm has been on a multi-pronged expansion drive, foraying into travel booking, movie-ticketing and other areas that align with its core competence of payments. It is also looking to step up its e-commerce business. Paytm sees Little as a platform that would help it accelerate its mobile commerce and transactions. While investing in it, Sharma had said that Little would power Paytm’s deal platform. Chopra and Mani had earlier co-founded fashion marketplace Zovi. Though the fashion portal raised funds from Tiger Global and SAIF Partners, it scaled down operations by mid-2016. Meanwhile, Little has been expanding through a string of acquisitions. It bought Chandigarh-based curated deals marketplace Trideal in October 2015. Early this year, it acquired online salon marketplace Stylofie. Little is a mobile marketplace for offline deals including restaurants, movies, hotels, salons, gyms and spas. For merchants, it acts as a sales platform they can use to gain intelligence about customers in the vicinity, send timely notifications and offer relevant deals. Last year, Noida-based One97 had separated its e-commerce and payments businesses under Paytm E-Commerce Pvt. Ltd and Paytm Payments Bank Ltd, respectively. In June, Paytm E-Commerce received a funding of $200 million from Alibaba and venture capital firm SAIF Partners. Since then, it has made a number of investments and acquisitions, and effected key appointments, internal movements and new business strategies. For example, it has transferred over 800 employees from parent company, One97 Communications, to Paytm E-Commerce, which runs online shopping platform Paytm Mall. 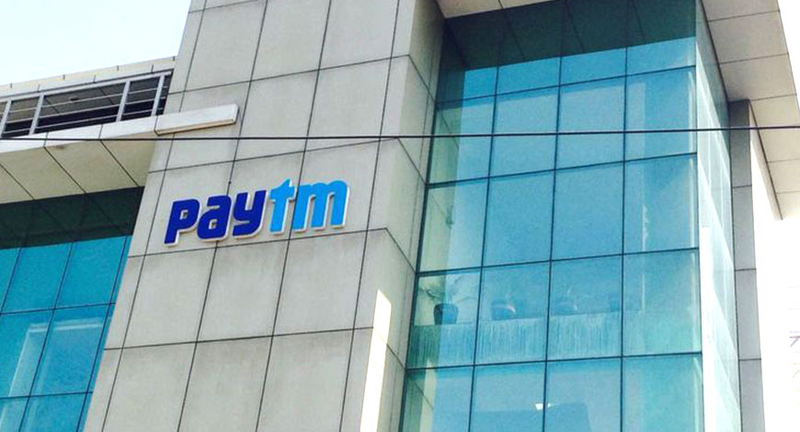 Paytm E-Commerce, majority-owned by China’s Alibaba Group Holdings Ltd, plans to hire another 2,000 employees to scale up operations. It is also ramping up its partner network by adding 3,000 agents across the country. Paytm, which typically puts $5-7 million in startups, has backed about 25 startups so far, its latest bet being mobile data analytics venture Mobiquest. The startup’s flagship product, M’loyal, offers a self-served mobile-enabled loyalty, analytics and campaign management platform to brands across sectors – retail, food and beverage, fashion, malls, health and wellness, and hospitality. In July, Paytm bought a majority stake in Mumbai-based curated events platform Insider.in and, in April, it invested an undisclosed amount in Noida-based health-tech startup QorQL. Paytm’s other portfolio companies include AbhiBus, ClearTax, LeapSky Wireless, LogiNext, TapChief, RainingClouds, Jugnoo, Xpressbees, and EduKart.